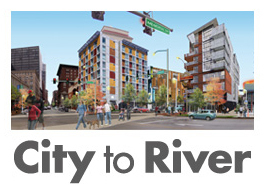 Every time Grand Center takes a step forward, such as the rehabilitation of the historic Missouri Theater office building into a new boutique hotel, it seems that it takes a step back with the loss of smaller buildings on the districts periphery creating an isolated island. This week ReFab posted a few photos on instagram (not the photos above) of a deconstruction they have begun in Grand Center. It didn't take me long to figure out that the building is at 3826 Olive Street near Vandeventer. The building is one only three structures left on the south side of Olive Street between Vandeventer and Spring Avenues. The other two are the William Cuthbert Jones House and the former Henry L. Wolfner Library for the Blind, both individually listed on the National Register. 3826 Olive is not listed on the National Register and falls just north of the jagged boundary of the Midtown National Register Historic District. Because we live in a City of 28 Mayors, each can choose whether or not their ward has Preservation Review. Marleen Davis chooses to not have Preservation Review for the 19th, so buildings like this regardless of potential historic merit are completely unprotected from demolition. The City had condemned 3826 Olive in May 2015 due to an isolated partial collapse of a small portion of the rear masonry wall. This is a common issue with buildings that have been vacant and had their rear gutters stolen. The building is owned by Olive West Properties, LLC, whose address it that of the Pulitzer Arts Foundation. This entity also owns a few other buildings on the block and much of the vacant land. 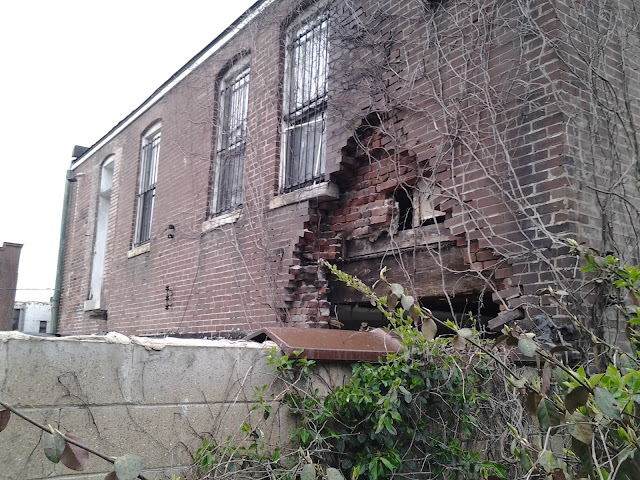 While a demolition permit and cost has yet to be posted on Geo St. Louis, I would bet that the above collapse could have been repaired for what it is costing to take down the building. City property records indicate the building was constructed in 1904. I suspected the sloped roof was originally a photography studio and it turns out that it was both the studio and residence of photographer Orville Caleb Conkling until at least 1929. 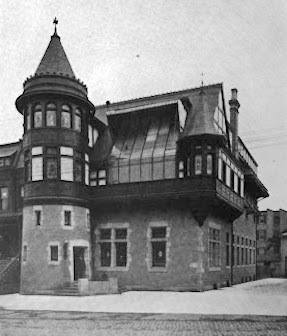 The north facing sloped portion of the roof would have been glass similar to this long ago demolished castle like building that once housed the photography studio of J. C. Strauss on Franklin Avenue. Photo from Bygone St. Louis. 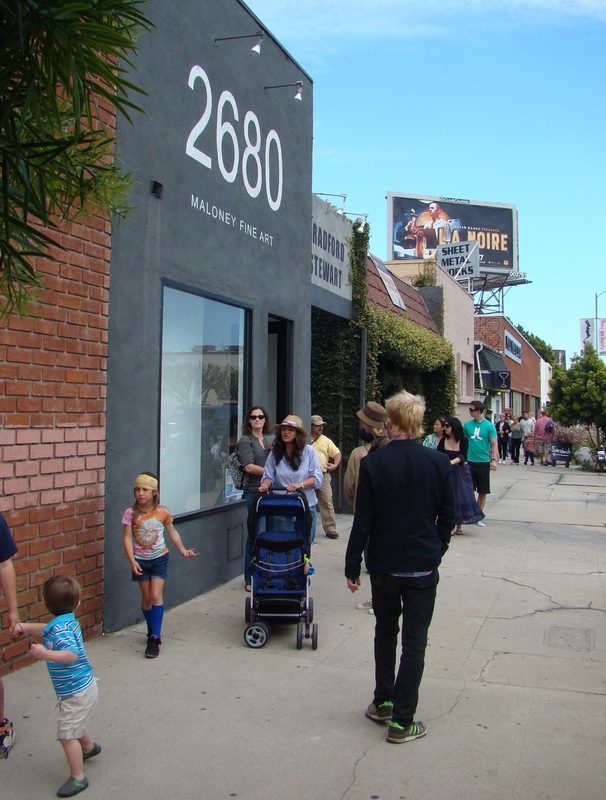 With the right kind of fostering, targeted marketing rehabilitation of the variety of existing buildings with small infill development between, the 3800 block of Olive could have potentially become a hip gallery district, a seemingly natural offshoot of an arts district and fed by a stream of patrons from the critical mass of arts institutions that has been built up over the last 25 years. Instead, redevelopment in Grand Center has targeted the largest, and the most ornate buildings in the district centered on Grand Boulevard. The variety of small ordinary buildings, the kind of buildings that make up vibrant cities, have been considered expendable so that as they fall the land can be banked for new larger developments that in the best of economic times over the last few decades have simply not materialized. As a result, the 37-3800 block of Olive, like much of what surrounds the arts institutions of Grand Center, is a wasteland of vacant lots, parking lots, and crumbling sidewalks. Maybe with a little more land we could hope some developer will come along and build another Sub-Standard.